The State Department issued a little noticed statement on Saturday warning of an “imminent complex attack” on the U.S. Embassy in Kabul, Afghanistan, telling Americans to avoid the area around the embassy. Massoud Circle was the location of a deadly suicide bomb attack last September claimed by the Taliban. Apparently, that was the only mention in the media of the threat to the embassy. “As of February 2015, militants are preparing an imminent complex attack against the U.S. Embassy compound in Kabul City, Afghanistan, from a location near Massoud Circle. The U.S. Embassy is taking this threat seriously and advises American citizens to avoid the area. “We strongly recommend that U.S. citizens traveling to or residing in Afghanistan enroll in the Department of State’s Smart Traveler Enrollment Program (STEP). STEP enrollment gives you the latest security updates, and makes it easier for the U.S. Embassy to contact you in an emergency. If you don’t have Internet access, enroll directly with the U.S. Embassy. “U.S. citizens in Afghanistan should regularly monitor the Travel Advisories on the website of the Embassy of the United States Kabul, Afghanistan, as well as the Department of State’s Bureau of Consular Affairs website, where the Worldwide Caution, Country Specific Information and the Travel Warning for Afghanistan are found. In addition, the Embassy encourages U.S. citizens to review “A Traveler’s Checklist ” which includes valuable security information for those traveling or living in foreign countries. You can also follow the Bureau of Consular Affairs on Twitter and on Facebook. Up-to-date information on security can also be obtained by calling 1-888-407-4747 toll-free in the United States and Canada, or, for callers outside of the United States and Canada, on a regular toll-line at 1-202-501-4444. These numbers are available from 8:00 a.m. to 8:00 p.m. Eastern Time, Monday through Friday (except U.S. federal holidays). 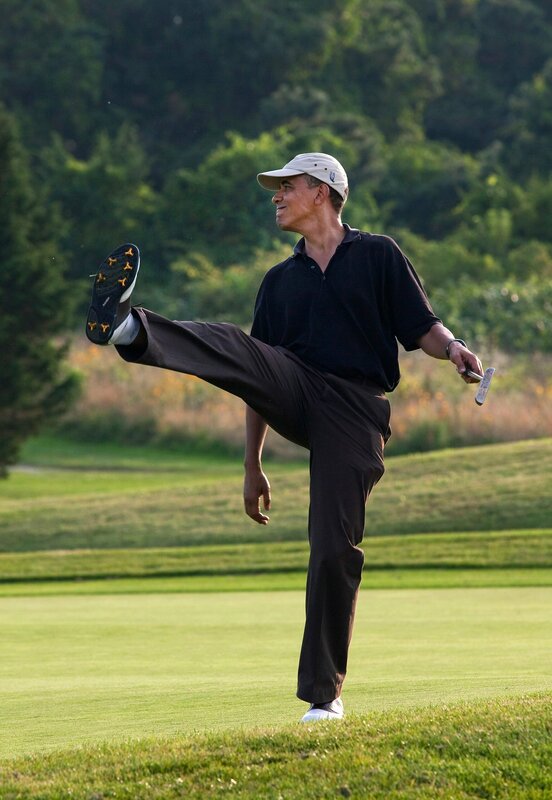 As the Kabul Embassy staff prepares for an imminent terrorist attack, President Barack Obama is taking a long holiday weekend golf vacation in Palm Springs, California.